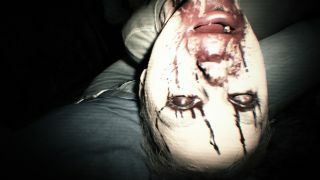 Two new teasers have popped up for Resident Evil 7, giving us a look at the level of detail and gameplay mechanics we can expect in the upcoming horror game. Who would have thought inspecting an old orange box would be so fascinating? The previous videos showed combat and healing in Resident Evil 7 but these ones are less adrenaline-fueled, which is good news for anyone with post-Halloween horror fatigue. The first of the videos is titled A Closer Look and shows the inspection of a battered box, which suggests that you won’t just walk up to a box and open it - you have to fiddle with it to figure out how it opens. You might also have to inspect objects to find any clues drawn on them to help you solve puzzles, which means players should expect to keep their eyes peeled (although in Resident Evil, peeled eyes could be a literal possibility). The second video is rather enigmatically named Imagination, hinting that you’ll have to flex your creative side to solve a bunch of puzzles in Resident Evil 7. Within a very dilapidated room a light is shining upon a picture of a spider on the wall. The puzzle involves holding up different objects in front of the light so they cast a shadow next to the spider, so presumably when you find an object that casts a shadow which looks like a spider, something will happen. I have no idea what could come next, although I’m betting it’s not going to reveal a cuddly pink teddy bear holding a bunch of flowers. Resident Evil 7: Biohazard will be available January 24th, 2017.